Our new motorized shades will be a perfect match. Schedule a consultation today! Window treatments that are tailored to your specifications to ensure your complete satisfaction. Laguna Beach Blinds & Shades offers free consultation to help you find the perfect design. All of our products are 100% genuine and of the highest quality. 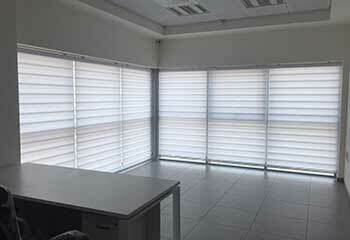 Our blinds and shades are fully covered by extensive 5 year manufacturer warranty. Provide full and free consultation and only the finest quality blinds and shades! Cellular shades provide heat insulation, as well as sunlight control and UV protection. Their honeycomb-like structure makes them excellent for adding thermal efficiency to any room. Learn more here. Layered shades are the new big thing when it comes to window treatments. Learn what you can do with them, and our own custom made products in particular, by clicking here. Sheer shades combine the best aspects of window coverings and more typical blinds into one super-efficient and beautiful package. Learn more about them on this product page. Roman shades have been a popular option for tasteful home décor for centuries. Our professional team produces a wide range of variations, suitable for any window frame. Click here to learn more about these elegant window treatments. 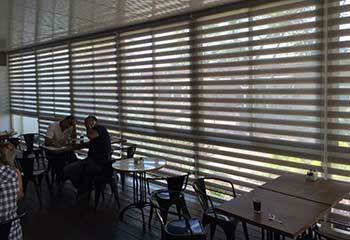 There is no simpler shading design than roller blinds. But did you know you can choose from various colors and patterns? Learn all about it and more on our page! Motorized shades are the most convenient and reliable mechanism to ensure proper lighting and sun protection at all times, while also remaining safe for small children. Learn more about our products here! 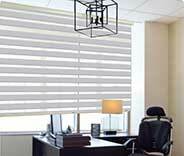 The best blinds and shades for your business are just a few mouse clicks away. Let us help you find the perfect hand-drawn or motorized window treatments for you. Choosing the right coverings for your windows is something that shouldn’t be taken lightly. That’s why if you live in Laguna Niguel, Aliso Viejo, or nearby, Laguna Beach Blinds & Shades can help you, no problem! Be it for your business establishment or home, you can rest assured you’ll find the perfect fit for your windows. Our team will make sure that when all is said and done, you have exactly what you want. If you want a company that cares about your trust and satisfaction, then you are in the right place. Our team of professionals take your private space seriously and will work hard to make sure your windows are covered to your expectations. So, if you live in or around the Laguna Woods area, make Laguna Beach Blinds & Shades your next choice when choosing your next set of blinds or shades! It does not matter if you have a standard window, a bay window, a sliding glass door, or any other type of window that needs covering, our team has got it handled. With some of the best services and products from Laguna Hills to Dana Point, you’re sure to find the right match. Our team will take measurements and customize your selection so you will always get the perfect size. Paired with free consultation and free color sampling, finding your next window coverings will be a breeze! Here at Laguna Beach Blinds & Shades, our company is proud to offer a wide range of different types of products. 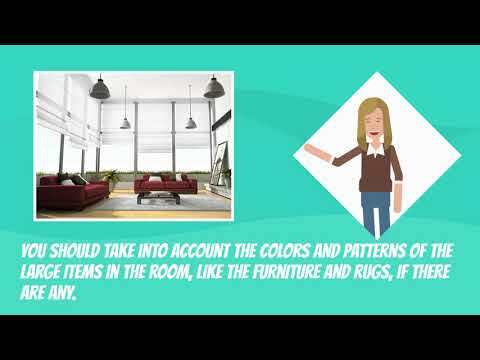 Whether you are looking for drapery for the living room, aluminum blinds for the business, or motorized roller shades for the conference room, our professionals will take care of you. Combined with great product warranties ranging from five years to life, you’re sure to be satisfied when letting us assist you anywhere in Mission Viejo or nearby. 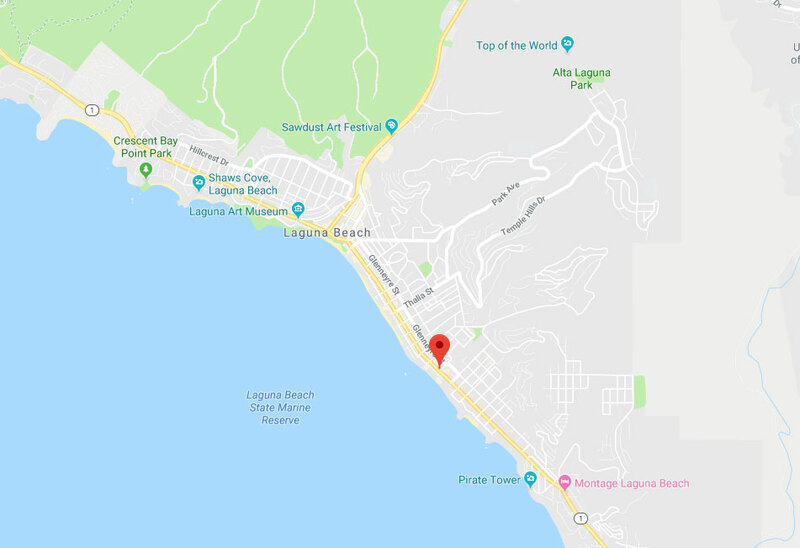 No matter where in the Laguna Beach area or nearby, our team of professionals are right around the corner ready to serve you! Getting your next set of window coverings has never been so easy with us at your side. Don’t keep waiting and call or schedule your appointment online today and cover your windows with style. The pleasure is all ours. Our specialists are the top professionals to call in Laguna Beach for the finest window treatments at low affordable prices. Take advantage of our free consultation service and choose new window treatments for your home or office. Beat the sun's harmful rays and save on exceptional and modern models by scheduling an appointment with our specialists online anytime! Take a gander at our latest projects summarized below. This customer wanted shades installed in all the bedrooms in his house. Read more here. A local store owner needed some better blinds to discourage break-ins. Read our solution here. Some thematically appropriate window shades gave this Chinese Restaurant an aesthetic boost. Read the summary here. This customer wanted something extra for her new guestroom. Learn about our motorized drape installation here. I have always wanted wood blinds and am very happy with my new ones. Your company did a wonderful job with the installation. I’m really pleased with my new drapes. Your company’s service was wonderful from start to finish. Thanks so much for everything. I really love my new motorized venetian blinds, thanks for helping me decide which type to choose. The service was great and price was fair. Contact us and let us help you find the best type of shades for your property. 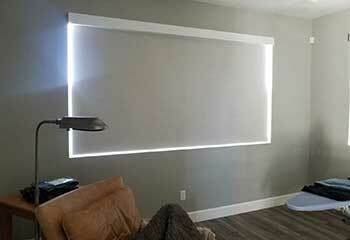 Blinds and shades can make a room stand out or they can make it seem boring and ugly. It's all about the design. Of course, that's not the only reason to have new window treatments installed. Wouldn't you want to be able to control how much sunlight gets into your home or office with the push of a button? That's where motorized blinds come into play. In fact, a lot of motor and control models, especially ones made by brands such as Somfy and Lutron, can allow you to control your new automatic shades using your smartphone! Schedule a consultation appointment today using our online system to learn more about the options available to you. Thank you for choosing Laguna Beach Blinds & Shades! Feel free to browse our website for more useful information until our appointment!